Has VMware De-mystified the Cloud? As a cloud consultant, it’s good to have my head in the clouds. Same is true for IT managers and directors who are responsible for hybrid cloud initiatives. One of the new updates from #VMWorld is that VMware has rebranded their vCloud Hybrid Services as vCloud Air. So, yes. 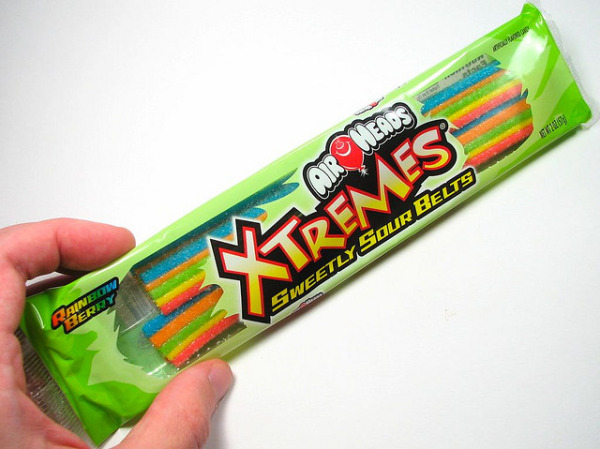 We are all airheads now. We’ve gone from the cloud to air. Isn't a cloud just air with water vapor or mist? So, has VMWare de-mystified the cloud? But seriously, calling it vCloud Air is genius. Think about it. Air is everywhere around you. You can't live without it. Most of the time, you do not even know it is there. Just like vCloud Air. I want to focus on this idea of vCloud Air being everywhere at once, but first let’s review what this service entails. vCloud Air is VMWare's public cloud offering, or IaaS (Infrastructure-as-a-Service), providing flexible, reliable cloud computing through data centers owned by VMWare and their partners, and extends your private cloud by working with your current VMWare environment. But how can vCloud Air be all around you? Connectivity. It is all about flexible connectivity options. vCloud Air enables hybrid cloud connectivity from everywhere. This is exactly what you think it is. You can create web servers and applications that allow anyone in the world to connect to your public cloud application. This is a standard IPSEC tunnel terminating at the vSphere Edge Gateway on the edge of your public cloud in vCloud Air. Using vCloud Connecter Data Center L2 Extension, you can even extend your layer 2 and 3 networks enabling you to maintain the subnet structure while providing secure access to your applications and VMs in the public cloud. Think about the power there. As the owner of a hybrid cloud, you have a datacenter and security edge devices you own and maintain. The policies are all yours. The benefit is that you get the flexibility and cost savings of putting assets in the public cloud, but you can direct all internet traffic through your device in your datacenter. Now your public cloud looks just like another physical datacenter in a remote location. You control the access while providing a secure tunnel. The direct connect option opens up two possibilities. First, you can directly connect an MPLS or other private circuit directly into your public cloud that is dedicated, secure, and predictable into a datacenter that just happens to live in the cloud. You apply the same type of policy-driven security via trusted security devices just as discussed with the VPN across a private circuit, which truly extends your local LAN. Second, direct connect also allows you to ride a 1 Gbps or 10 Gbps direct link from a VMWare partner datacenter colocation cage directly into your VMWare vCloud Public cloud. Your private cloud assets can live in a datacenter and have a high speed LAN connection directly into your public cloud. This opens up the idea of hybrid cloud to also include physical storage connected to public cloud machines via the 10 Gbps link. Your users connect to cloud applications via the internet. Your office and remote locations connect to the public cloud across secure VPN connections or MPLS links. Your hardware in colocation facilities can communicate with your public cloud assets at LAN speed. Now, voila! VMWare Air is everywhere. With a proper implementation the other air-like qualities become realities. How can users, your finance divisions, and your decisions makers live without the flexibility and cost savings the public cloud brings your organization? Your IT consumers will not know or care if the application or service they are consuming is in the public or the private cloud. They won't even know it is there. Just like air. I’m excited for the future of cloud computing. How about you? How do you see yourself adopting the new cloud technology and specifically vCloud Air? Please include your comments below, and I’ll be sure to reply.